Since today is Transfiguration Sunday, we celebrate the glory of God revealed to the world through the ministry of Jesus. On this Transfiguration Sunday we also bring to a close my “Eating with Jesus” sermon series. Throughout this series we’ve been meditating on what it means to be a missional congregation that gathers for communion with Jesus at an open table. We began this conversation in Genesis, on the day the Lord met Abraham and Sarah in the persons of three strangers, whom Abraham and Sarah welcomed to their Table (Gen. 18:1-8). We were reminded that it’s possible to entertain angels without knowing it, which means that it’s important that we show hospitality to everyone (Hebrews 13:2), including sinners and tax-collectors. Yes, Jesus ate with “those kinds of people” as well. We’ve been to the wilderness, where Jesus fed the 5000. We’ve contemplated the meaning of Jesus’ words about his body and his blood. We’ve also considered what Paul meant when he wrote about eating the supper in a worthy manner. This morning we get to consider Matthew’s version of the Last Supper. In Matthew’s version of the Words of Institution, Jesus speaks of “the blood of the covenant,” which was “poured out for many for the forgiveness of sins.” When Jesus speaks these words, he has in mind the message of Passover, when the people of Israel placed the blood of lambs on their doorposts as a covering. Jesus draws on this image to express his own sense of purpose. In this very meal, Jesus ate with sinners and tax collectors. That is, he ate with people needing to be reconciled with God. At the Table was Judas, the betrayer. Peter, who would deny him, was there as well. Yes, the rest of the disciples, who would desert him before the night was finished, dined with him as well. Jesus offered each of them forgiveness, even as he offers us a word of forgiveness as we gather at the Table of the Lord. No one is excluded from this Table, not even Judas. 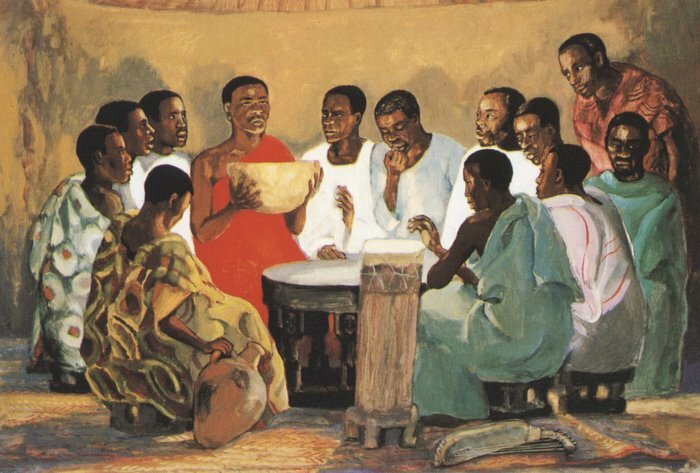 Each version of the Word’s of Institution is slightly different, and in Matthew’s version, Jesus concludes by telling his disciples: “I will never again drink of this fruit of the vine until that day when I drink it new with you in my Father’s kingdom.” When we gather at the Table, we look back to an event that took place long ago. Even though Matthew doesn’t include the words “do this in remembrance of me,” it’s clear that Jesus wants them to remember that moment. The bread and the wine are signs of his body and blood, which in turn serve as signs of the covenant in Christ’s blood that brings forgiveness of sins. To this, according to Matthew, Jesus was born. That was the message of the angel who told Mary and Joseph to name Mary’s child “Jesus, for he will save his people from their sins” (Matt. 1:21). That message comes through in these words of institution. Yes, we’re called to remember, but we also gather in anticipation of that day when Jesus will once again drink wine with us in God’s realm. In their book The Eucharist, Andrea Bieler and Luise Schottroff, point out that “the community at Table stands for God’s future, when all people, all nations, will eat together at Christ’s Table” [Eucharist, p. 54]. When we gather at the Table each week, we anticipate the day when get to share with Jesus in the great heavenly banquet. It’s this banquet that Jesus has in mind when he tells the disciples that he won’t share wine with them again until he shares it with them in the kingdom of God. Or just chasin' after some finer day. In the song, Carly Simon wonders whether this present moment is all there is. Could this be what some call the good old days? Or, is there something out in the future that’s worth waiting for? I wonder if that is how the disciples felt that night. Could they imagine a new day ahead of them in which the full glory of God would be revealed to creation? Or, would their anticipation lead to nothing more than “chasin’ after some finer day?” With that song floating in our minds, I wonder if this is how we experience the Table? Can we imagine sharing the fruit of the vine with Jesus in the realm of God? Here we again encounter the image of the Table as a crossroads. As we gather at the Table, we look back at the life, death, and resurrection of Jesus, events that took place in the past. This is our anchor. This is why we gather in remembrance of him. It’s also important that we look back across two millennia of church history, and remember the saints of God who have contributed to the unfolding of God’s realm through time and place. These saints of God form the great cloud of witnesses we read about in the Book of Revelation. That story is ongoing, because we gather at the Table believing that Jesus is present with us as we share in the meal of bread and cup, signs of his body and blood. We also gather in anticipation of that day when we will share in the messianic banquet. Therefore, as Gene Boring puts it, “every eucharist is a promise of the final victory of God’s kingdom” [“Matthew,” NIB, 8:473]. There will be blustery days ahead, but the promise of God’s realm continues to serve as our polar star. We might not know the hour or the day, but we can gather in anticipation of God’s final victory. At that time, God will destroy the shroud that hangs over creation, and death will be swallowed up forever. 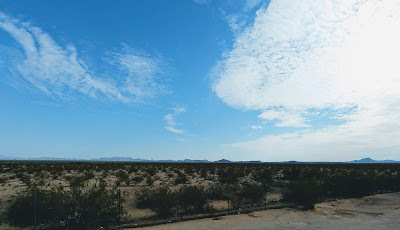 Then, Isaiah promises, in words found also in Revelation, “God will wipe away the tears from all faces, and the disgrace of his people he will take away from all the earth.” This is day that we anticipate when we gather at the Table, so “let us be glad and rejoice in his salvation” (Is. 25:7-9). The day will come when the realm of God will be revealed in all its fullness. Then we shall see our salvation together. Until that day, we prepare for the messianic banquet by being “built together spiritually into a dwelling place for God.” (Eph. 2:22). Picture attribution: JESUS MAFA. The Lord's Supper, from Art in the Christian Tradition, a project of the Vanderbilt Divinity Library, Nashville, TN. http://diglib.library.vanderbilt.edu/act-imagelink.pl?RC=48272 [retrieved February 25, 2017].